I grew up in Varese in the north of Italy, I have been with NewGen since 2012 in Nendaz, Courchevel and now in Villars. In summer the I train and compete in pole vault in 2016 I won the silver medal at the World Masters Champs in Perth, Australia. I studied graphic design at the University of Newport in Wales and I spent a few years working in Dublin blown by the wind. I love carving on a hard groomed piste and I love slaloming through trees on a powder day. My top tip is to take it slowly and enjoy the spectacular setting Villars offers. 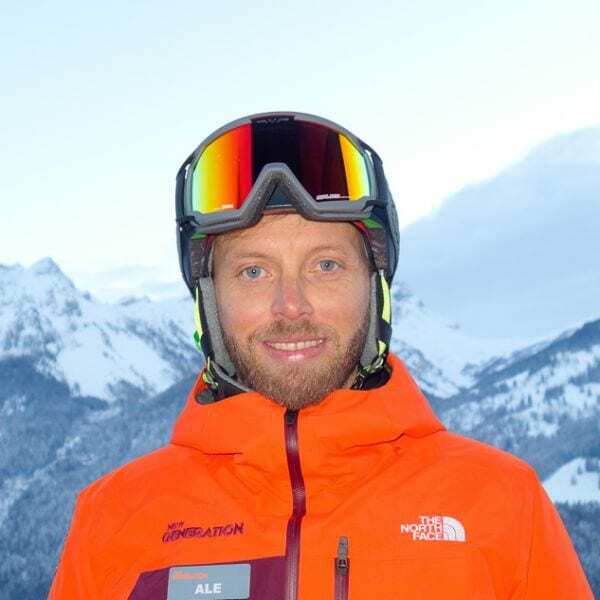 Fancy a private lesson with Ale on your next holiday?